I want to make a case for invoking the freedom to make – and remake – our own rules, in service of building better organizations, communities, families, and societies. I remember as a kid many recess kickball games on the school blacktop. I wasn’t the greatest athlete, so I always had butterflies in my stomach if the ball came to me to catch (for fear I would miss it or drop it, and let my team down). There were other kids who had trouble coordinating eyes and feet, and when the ball rolled in their direction on the pitch, they’d run up to it and flail a leg into empty air, totally missing contact with the ball. But it was okay, because we had Do Overs. 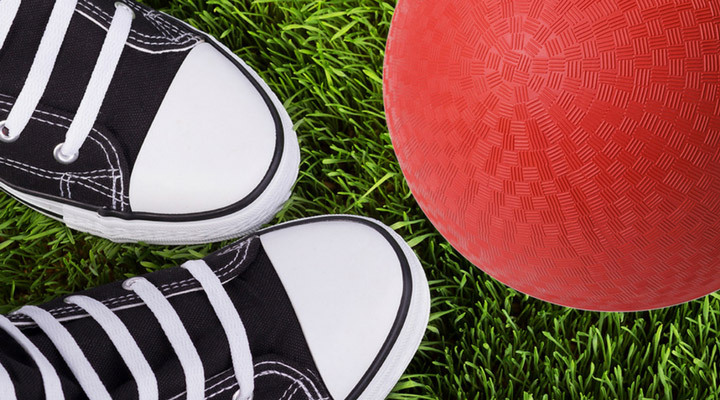 The Do Over is an example of one kind of rule we can make on the kickball field, at home, or at work, that improves the quality of our relationships. Despite the fact the older kids on the playground had handed down the rules of kickball in the great oral tradition of humankind, we gave ourselves the freedom to negotiate our own rules. Our rules defined how we wanted to play the game together. The negotiation was sometimes messy and heated. There were questions about fairness, turn-taking, what was “out” and what was “in.” Sometimes the negotiation took the whole recess, but when we had it figured out and we had all agreed to the rules, the play was fun and we all felt included. If there were kids who felt left out of the negotiation, they either went to play with other kids (who did their own rule-making together), or their feelings of exclusion would eventually surface and more rule-making would ensue in our group. The Way It Is: Can we talk about this? As adults in the workplace, we read the Employee Handbook and then we observe the way things “really work.” We infer the unspoken rules that guide acceptable behavior, that define what’s okay and what’s not okay. But unlike our childhood selves, even if those implicit rules prevent us from doing our best work, or go against our values, we often abide by them out of fear we’ll be kicked off the team (staying with the kickball metaphor) or be put in the proverbial penalty box. If we want to be part of healthy organizations and relationships, let’s revert to childhood and embrace ongoing rule-making as an integral part of how we work together. How might this work? Let’s play with the example of the Do Over. If I had called for a Do Over, and asked my son what his plan was for getting on top of his reading, I would have been empowering him to take charge of his own life and school commitments. We might have had a supportive and constructive conversation, rather than a fight. I’ll bet you’ve witnessed something like this: A colleague makes an oblique, critical remark, but disguises it with chuckles. The energy in the room shifts. Though others hear the barb, no one asks what’s behind the comment. Instead, the incident f e s t e r s. Like a wound. Because it kind of is a wound. Rule-making, like teaming at work, is a dynamic process. Teams re-form as membership and the skills mix change; priorities shift as the environment changes; rotating leadership requires adaptability. Strong teams define and refine rules that help them perform at their best, remaining ever adaptive with the changes taking place in their business or mission context. When I work with leadership or project teams, we start by making our own rules. After clarifying our purpose in coming together, we have a conversation to define some Team Agreements members want to make with each other so that they can do their best work. We are imperfectly human, and we are always striving to be better versions of ourselves. How are things going on our team? What are we doing well together? How do we want to be together so we can do our best work? What permissions do we want to give ourselves? What is not okay on our team? What will we not tolerate? How do we want to be together when conflict arises or when things get tense? How do we want to handle it when we break one of the agreements we’ve made? How will we celebrate on our team? Don’t hesitate to join the game. Don’t fear the penalty box. Make some rules — together. Watch trust blossom on your team. Did you know?….Rule making is an essential part of our moral development. “In children, moral development is the process through which children develop proper attitudes and behaviors toward other people in society, based on social and cultural norms, rules, and laws. I’m struck that most of the teams I work with do not take time to define how they want to be in relationship together, despite the fact Bruce Tuckman’s research going back to the 1960’s has pointed to norming (aka rule-making) as a key practice of high performing teams. Google, seeking the secrets of team effectiveness, reaffirmed the value of norming in their Aristotle Project research in 2016. If you scoff at phrases like “be in relationship together,” I invite you to stop and consider this: Which is more important, the task or the relationship? I maintain that it is the quality of our relationships that determines what we are going to be able to accomplish together, and how the experience is going to go. Our agreements, rules, guidelines, norms — even laws — embody our shared vision for what is possible in human endeavors. Our rules represent who we want to be.